A chia pet is a clay animal figurine covered with sprouting seeds. 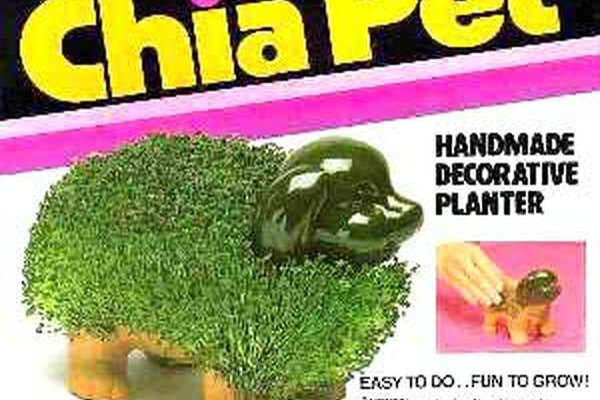 The chia pet name is owned by Joseph Enterprises, Inc., a California company that developed the collectible animal figures in the 1980's. The Mexican clay animals are covered with chia seeds from the salvia plant. The animals have grooves in their terra cotta bodies. Chia seeds are moistened and patted into the animal grooves. Seeds absorb water. They sprout and--as the chia grows--look like hair on the animal. The animal shape changes as the chia grows. Start the chia pet by soaking the clay animal in water for 24 hours. At the same time, soak chia seeds in water. The next day, pat the seeds evenly on the animal planter and fill the hollow planter with water. The planter sits in a drip pan. Water seeps through the planter to water the seeds. The planter is kept full of water, and the drip pan is emptied daily. In 3 to 5 days, the seeds sprout. After sprouting, the animal is placed in the sun so the seeds develop green growth. 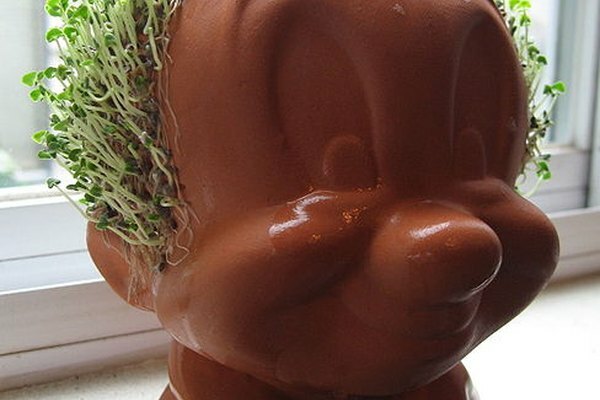 The Chia Pet eventually looks shaggy, or the seed sprouts die off. The seeds are scrubbed off, and the chia pet is replanted. When air is dry, seeds do not sprout because they do not get enough moisture. A plastic bag is propped over the animal--not touching the seeds--for a greenhouse effect. After the seeds sprout, the pet is placed in filtered sunlight as the seeds need sunlight to grow. 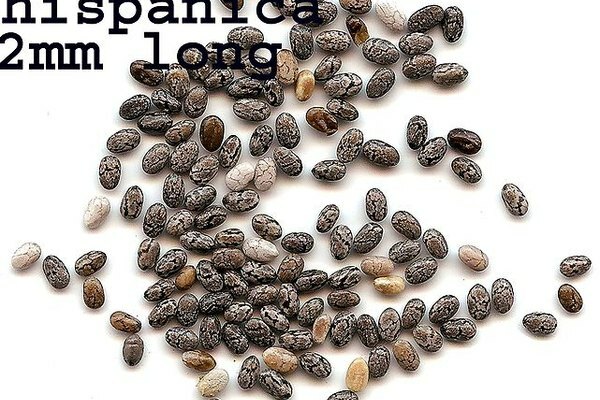 When the seeds first sprout, they have white fuzz or root hairs. If the fuzz continues after a week--and the seeds are not sprouting--mildew has probably developed. The solution is to scrub off the seeds and soak the planter in a bleach solution. Replant. The pet lasts indefinitely, but the chia seeds do not. More chia seeds can be purchased. Substitute different seeds. Basil, alfalfa and other seeds that form a slick gelatinous coat when soaked in water can be used. Some people put the seeds on other objects; they spray them regularly to make the seeds sprout. Chia pets became famous with the "Ch-ch-ch-chia" singing commercial in the 1980's. The slogan is, "Watch It grow." The company introduced a variety of chia pet animals, but the collectibles became a fad over time. The chia pet is still sold, and new varieties are marketed as consumers rediscover the green seedy novelty. Today chia pets are available in licensed cartoon characters and other products.